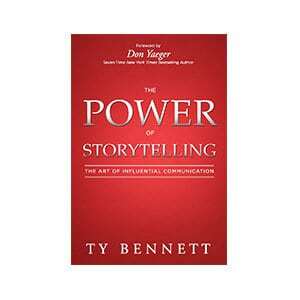 Ty Bennett’s new book is The Power of Storytelling: The Art of Influential Communication. 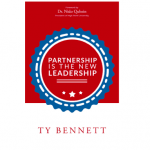 This book is written for anyone involved in speaking, selling, leading or teaching. 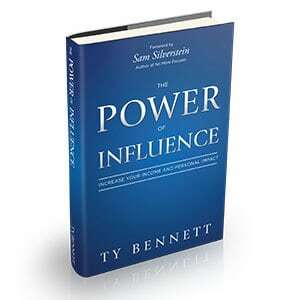 The Power of Storytelling launches on May 1st – so all orders before the launch date will be preorders and will ship as soon as books are available. 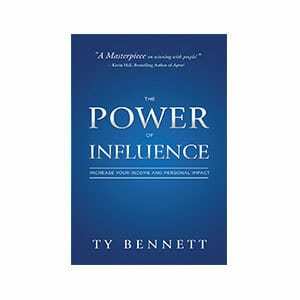 In The Power of Storytelling, Ty breaks down the mindset, the skillset and the toolset of influential communication. This is a deep-dive into storytelling – that gives you the step by step formulas and tangible tools to craft and deliver effective stories. From the tales told around the campfires of our most ancient ancestors to the texts zapped to today’s digital screens, storytelling is the key to human communication and persuasion. 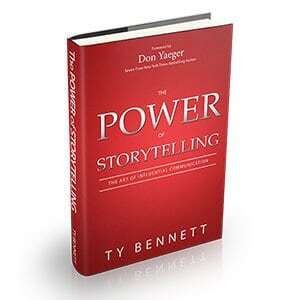 Ty Bennett’s fascinating new book will help you turn your storytelling into story selling. – Richard Fenton &amp; Andrea Waltz, Authors, Go for No!